Stinson Air was founded in 1995 by Brad Stinson, who has spent the last 23 years developing the company’s outstanding reputation. 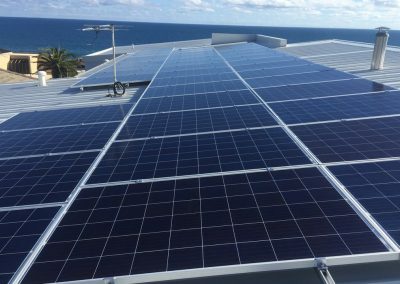 Today, Stinson Air is widely recognised as one of Western Australia’s leading specialists in air-conditioning and rooftop solar-power systems. Unafraid of embracing a variety of new technologies, Stinson Air is particularly excited about its latest products, the MyAir, MyLights and MyPlace systems. These systems add energy efficiency, comfort and security to your home, all at an affordable price. Remote access is included, in addition to complete home-hub capabilities for your wall-mounted tablet system. Visit Stinson Air’s Osborne Park showroom to discover and observe the different uses of the fantastic MyAir, MyLights and MyPlace systems. 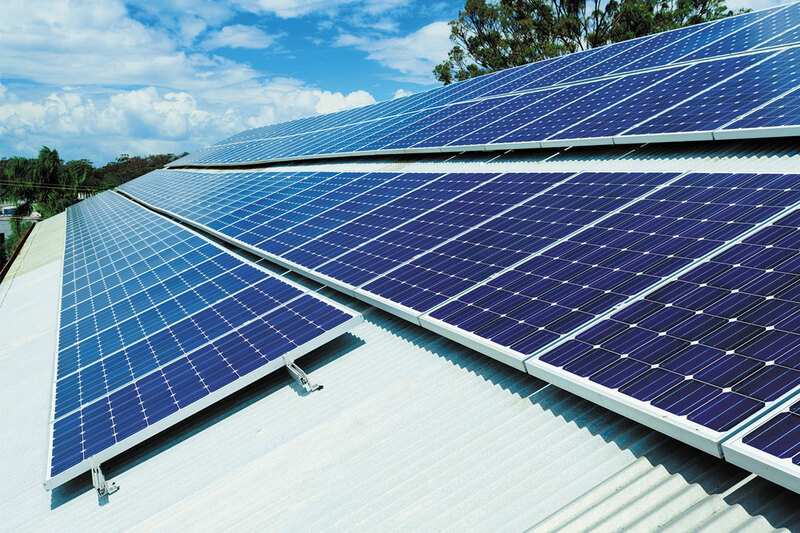 Stinson Air’s solar and battery divisions are available to help you determine which products are best suited to your home and lifestyle. The expert teams can also assist you in selecting from the company’s range of eco-friendly products, which will not only save the planet, but also help reduce your utility costs. 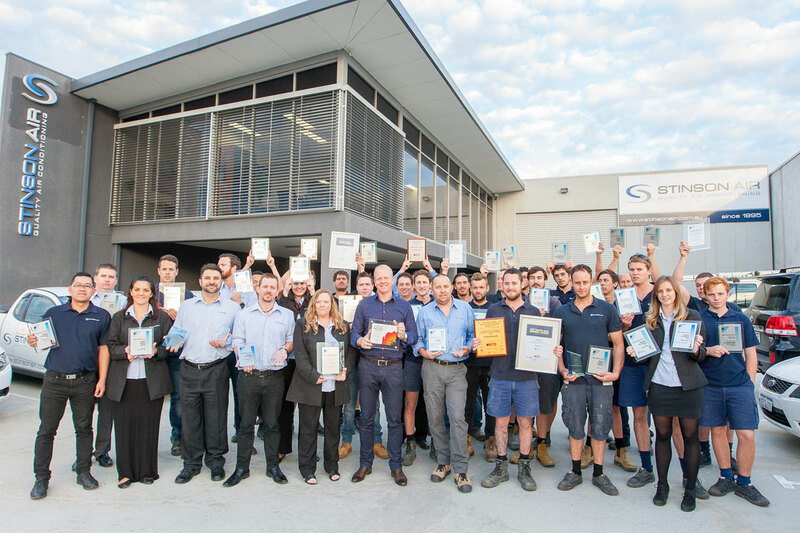 Stinson Air has completed thousands of projects across the Perth metropolitan area, from Mandurah in the south to Two Rocks in the north. Its South-West branch services Bunbury, Busselton and Margaret River, as well as surrounding regions. With dozens of industry and business awards to its name, Stinson Air has earned a fantastic reputation from its past projects. You only need to visit the website to view its endless client testimonials, which demonstrate the company’s high-quality customer service. 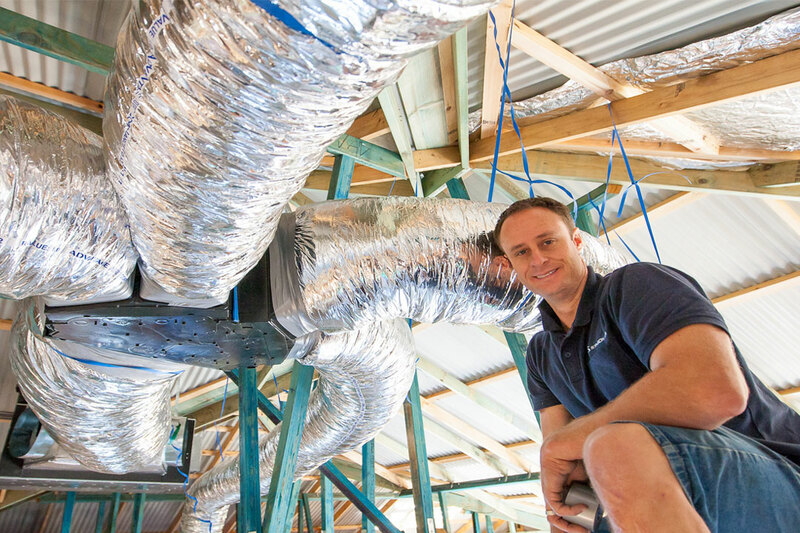 Stinson Air maintains partnerships with numerous world-leading brands, including Daikin, Panasonic, Samsung, Fujitsu and Advantage Air, plus a range of renowned Western Australian builders, including Dale Alcock Homes, Webb & Brown-Neaves, Mondo Exclusive Homes and Dorrington Homes, to name a few. 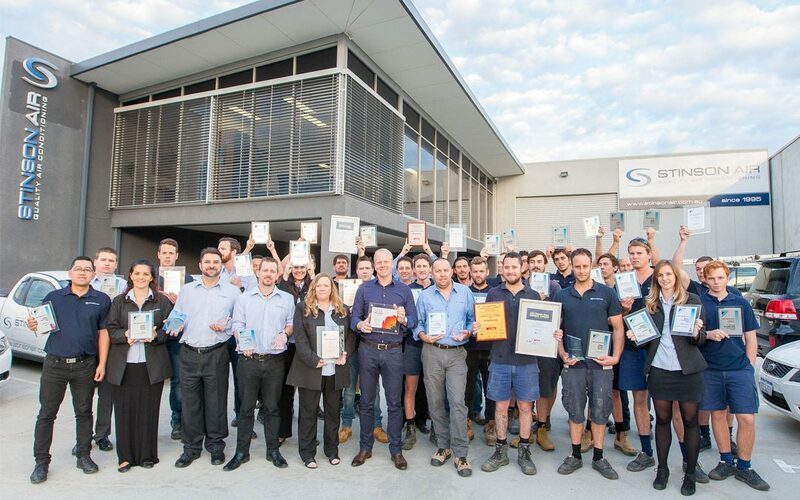 To discover how Stinson Air can customise your home’s air-conditioning and solar-power systems, visit the showroom in Osborne Park, or stop by the staffed display at Home Base in Wembley.